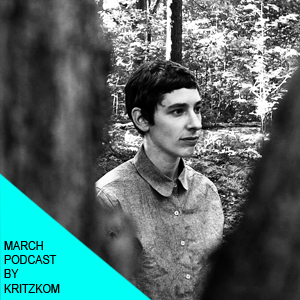 French electronic musician Kritzkom rises up to the podcast challenge with a mix jam packed with house and techno, switching from sweet and ethereal to deep and physical. Her releases have graced the shelves of labels like Female:Pressure, Samplefreunde and Comfortzone and her first LP North In Progress was released back in 2012. Kritzkom is currently yorking on new material while developing her live set, so keep your ears peeled for the sound of tomorrow. Find out more about Kritzkom on Sceen FM, Fohr Play and Women Multimedia Network. Book Kritzkom for live and DJ sets worldwide HERE.